Don't roll the dice with those cheap chargers you find in the impulse section near the cash register. This one from Maxboost is an Amazon #1 best seller with 4.5 out of 5 stars from over 7,300 people (read reviews). Amazon indicates that its typical list price of $15.99 has been reduced 38% to $9.99. Keep this 24W / 4.8A USB car charger in the glove box, and know that you'll have juice for your tablet, phone, or other USB mobile device any time you need it while on the road. It features dual USB ports, a compact rugged design, and intelligent circuitry to prevent against short circuiting, over-heating, over-currents, and over-charging. See this highly rated and discounted dual port USB charger now on Amazon. 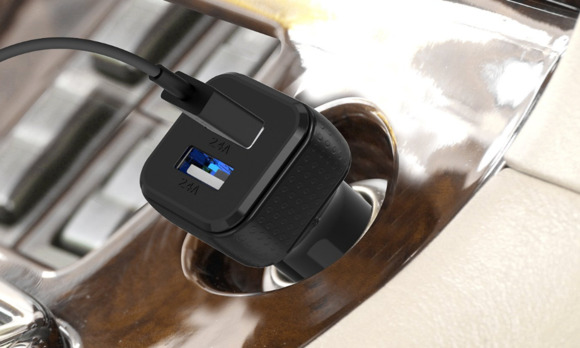 This story, "38% off Maxboost 4.8A/24W Dual USB Port Smart Car Charger - Deal Alert" was originally published by TechConnect.